Fashion is weird. They always seem to come up with terms and phrases that at first we scoff at, but then we find ourselves using "arm party" and "ear cuff" like it's no big deal. Today I'm going to say something that you need to try to use because it's going to be a thing. Shootie. That's right. Shoo-Tee it's a shoe bootie. It's a shootie, let me educate you. 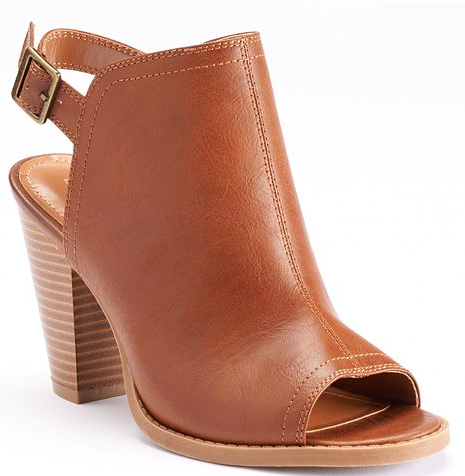 A great stacked heel makes these shooties easy to walk in and ready for a spring pedicure. I'm oddly obsessed with these. 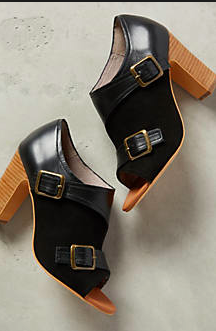 They're going to be perfect with jeans and shoes from Anthro under $100? Unheard of. These shooties are a party. 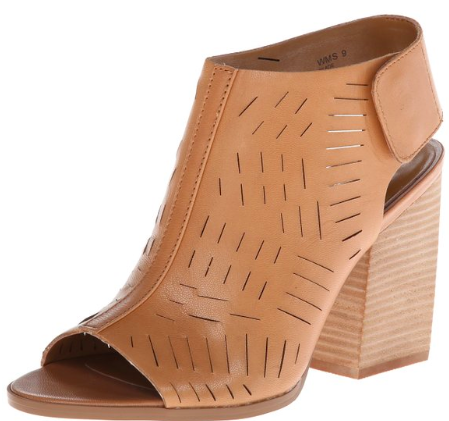 Chunky heel, fun laser cut pattern, it's a great spring option. Simple and bordering on rocker-chic. I am digging this black option. I allow you to use the term 'shoe boot' if shootie gives you the giggles, but mark my word, it's going to be a thing.